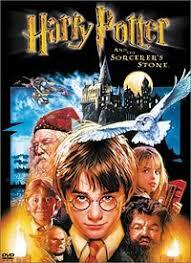 Harry Potter and the Sorcerer’s Stone is the first film in the Harry Potter series based on the novels by J.K. Rowling. It is the tale of Harry Potter, an ordinary 11-year-old boy serving as a sort of slave for his aunt and uncle who learns that he is actually a wizard and has been invited to attend the Hogwarts School for Witchcraft and Wizardry. Harry is snatched away from his mundane existence by Hagrid, the grounds keeper for Hogwarts, and quickly thrown into a world completely foreign to both him and the viewer. Famous for an incident that happened at his birth, Harry makes friends easily at his new school. He soon finds, however, that the wizarding world is far more dangerous for him than he would have imagined, and he quickly learns that not all wizards are ones to be trusted.